Upscale motel near the water. The hotel offers complimentary, secure parking. Phone: 718-875-2500. 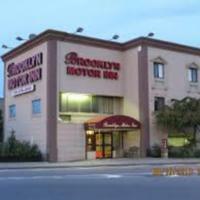 Email: info@brooklynmotorinn.com. Airbnb has a lot of listings in the neighborhood.